With Little or No Removal of Sensitive Tooth Structure! 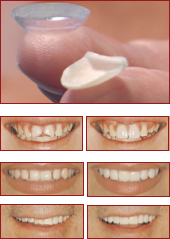 These contact-thin veneers are appropriate for all ages. Even teens and pre-teens with chipped, broken, severely stained and, in some cases, crooked teeth can transform their guarded smiles into winning smiles. If you would like to improve your smile the minimally invasive way, call today for a complimentary cosmetic evaluation: 770-888-6285. It will cost nothing to learn how easily LUMINEERS can enable you to have the smile of your dreams! No more syringes, no more pain when anesthesia is called for. “The Wand,” the computer-assisted delivery of local anesthesia, numbs faster and more effectively. 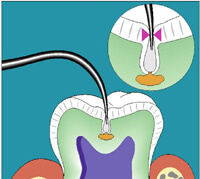 Our goal is to keep you away from the need for periodontal surgery. 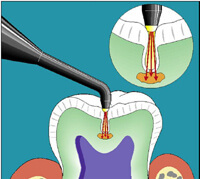 We provide non-surgical periodontal therapy with ultrasonic treatment and the use of antibiotics and herbal rinses. Our digital x-ray units emit up to 90% less radiation than traditional units. If the doctor recommends a restorative procedure, the patient can easily see the area of concern at 40 times its actual size and then fully understand the suggested conservative treatment. We provide routine oral cancer screening to every patient at every visit, as part of the exam. This is becoming increasingly important, since oral cancer has a poor 5-year survival rate, and its frequency is increasing, especially among teens. Dr. Stephanie and Dr. Sean partner with their patients to maintain excellent lifelong dental health. They are keenly aware how the body's diseases can affect oral health, as well as how poor oral health can affect the body. Their patients, with this support, can make informed decisions.